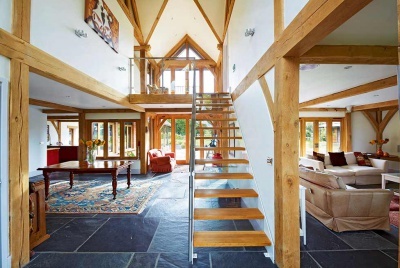 There were existing plans for a traditional three-storey home when the plot was purchased. The clients set up a mini competition, presenting a short brief to three architectural practices and providing two weeks in which to respond with designs and a fee proposal. The rear, northern elevation is rendered white, while the street-facing elevation is local split-faced stone. “White render on the south-facing side would potentially have been too bright on a sunny day,” explains Adam. Zinc was chosen to clad the vertical staircase tower to compliment the stonework. 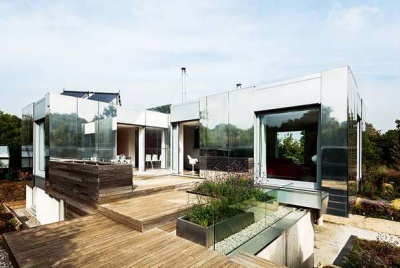 It was chosen as a low maintenance, quality material with “a sharp, clean modern look”. The property is futureproof with an entrance, living space and two ensuite bedrooms at first floor level. 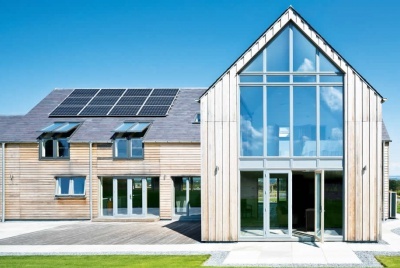 The house was shortlisted as part of the RIBA Regional Awards, and went on to win a RIBA Yorkshire Award this summer. 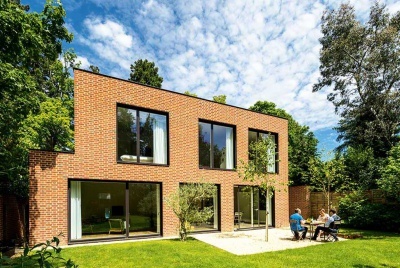 The build was quite traditional; masonry was used due to limited site access (bricks and mortar being more portable than factory-built systems), although this system does require closer management on site to ensure a reasonable level of airtightness is achieved. 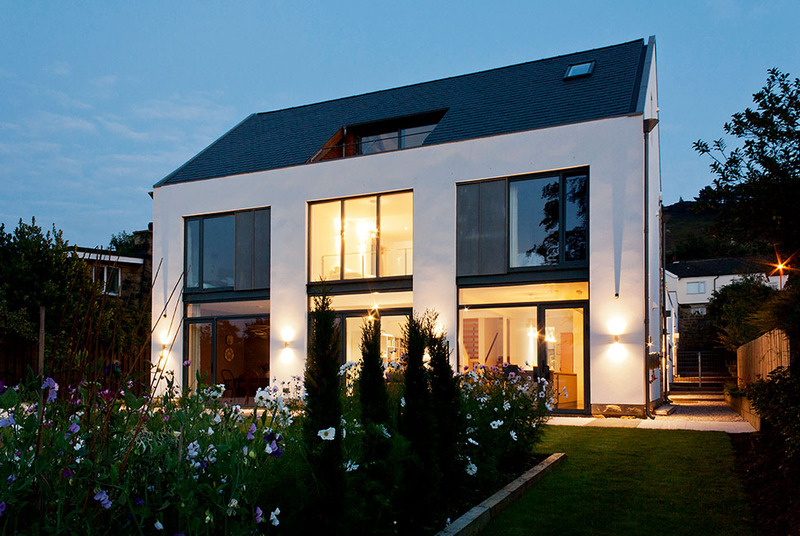 Instead of using mechanical ventilation heat recovery, the clients wanted to naturally ventilate the property. Features like the three-storey central atrium aid with stack ventilation, and automated rooflight at the top which opens when the temperature rises above a set level, are included. Underfloor heating has been installed on the ground floor, and the heat rises to the floors above (which are served by radiators). Adam designed the hoppers and rainwater goods, and the neat verges, which line the pitched roof.